Yesterday the pair broke its local minimum. The target for the bears is in the area between two fibo-levels, 78.6% and 100%. During a correction, I opened one more sell order. The price may start a new ascending movement during the day. 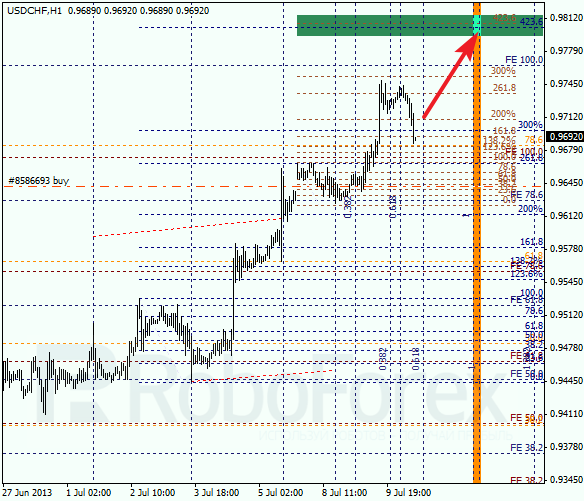 At the H1 chart we can see, that the correction finished at the level of 38.2% after the price rebounded from it. 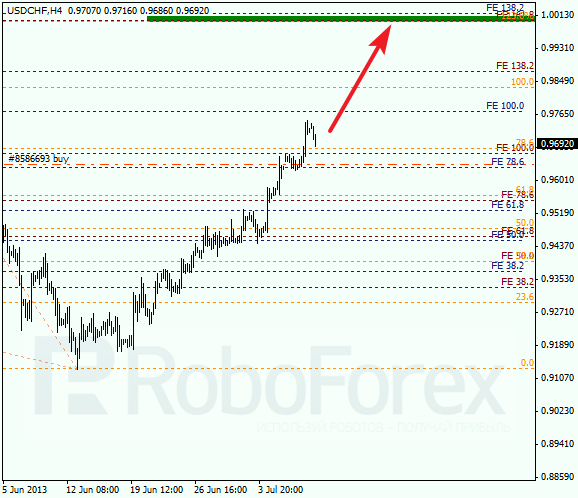 According to the analysis of the temporary fibo-zones, the target levels may be reached by the end of this week. Franc continues moving upwards, so I’ve moved the stop on my short-term buy order into the black. Currently the market is being corrected. However, later the pair may start a new ascending movement towards the target area. At the H1 chart, the intermediate target is still in the area between two levels of 423.6%. According to the analysis of the temporary fibo-zones, the area may be reached by Thursday.